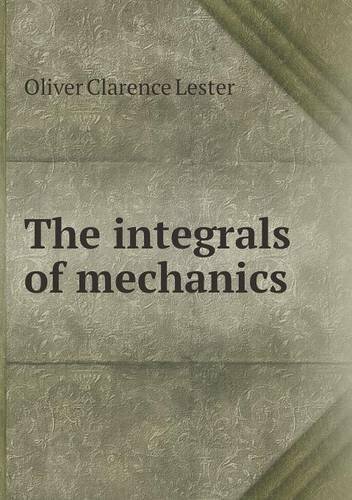 The matter presented in the following pages was originally intended to form the introduction to a work on Theoretical Mechanics. The book is intended as a drill book, and the unusual elaboration of the topics, together with the great number of illustrative examples, should enable the student to overcome most of his difficulties himself. The reader is taken on a tour through time and space. Starting from the basic axioms formulated by Newton and Einstein, the theory of motion at both the everyday and the highly relativistic level is developed without the need of prior knowledge. Contents: Theory Of Vectors; Kinematics Of A Point; Dynamics Of A Material Point; Geometry Of Masses; Systems Of Material Points; Statics Of A Rigid Body; Kinematics Of A Rigid Body; Dynamics Of A Rigid Body; Principle Of Virtual Work; etc.